Astypalea can’t be described in words that will give it real justice. It preserves tradition but blends a cosmopolitan air, perfect for those that seek a unique destination. The charming settlement spreads out from the dominant Venetian Castle to the yacht marina at Pera Yalos. The windmills give a distinct colour to the pretty settlement. The magnificent architecture indulges the visitor to explore the narrow labyrinth streets with the small picturesque neighbourhoods. The many aspects of this unique and truly romantic island with the beautiful beaches, the glorious sunrise and the deep blue coastlines will fascinate you and invite you to explore its beauties year after year. For those looking for a more relaxing nightlife, Chora is ideal for early evening promenades. The numerous tavernas, ouzeries and excellent fish restaurants will guide you through the most authentic side of the Greek cuisine. Astypalea (meaning “old city”) is the “bridge” between Cyclades and Dodecanese, combining elements from both island groups. 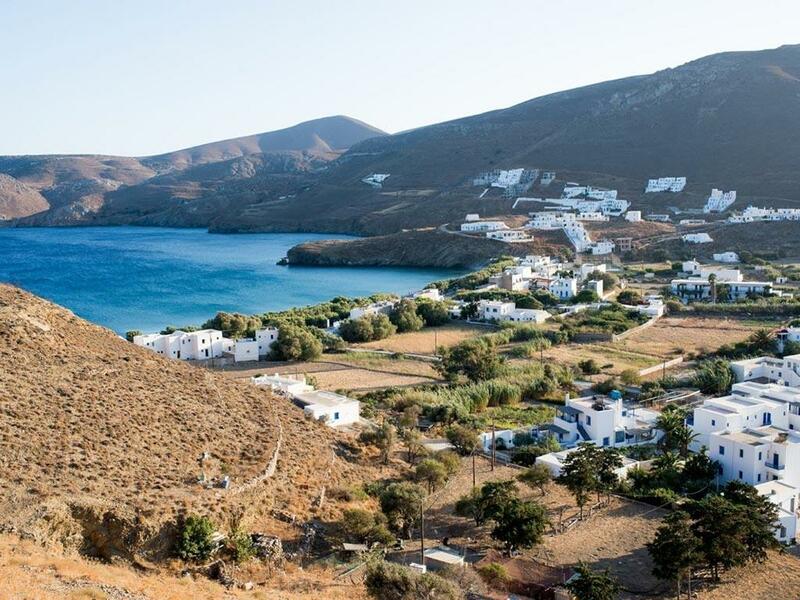 Covering an area of 97 sq.km and with a coastline of 110 km, Astypalea is the fourth biggest and the westernmost island of the Dodecanese. 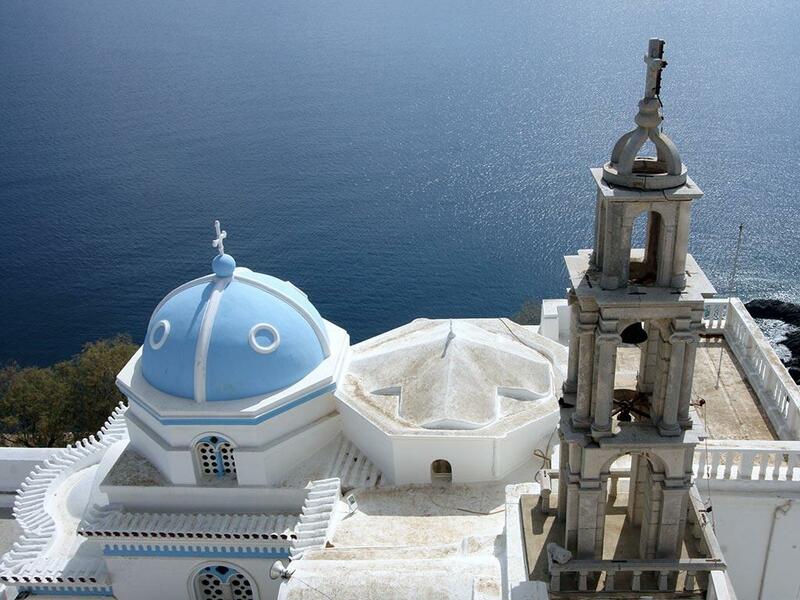 The villages with their chapels, archaeological treasures, rich history and local traditions, welcome every year numerous visitors willing to explore the hidden beauties of the island. Until the 19th century, Chora was the only settlement of the island. It is built on a peninsula with the Venetian Castle of Querini standing proud on the top. Most of the island’s life is concentrated there. Pera Yalos with the yacht marina is the seaport of Chora. In the old days and as the centuries progressed, little white houses began to appear outside the walls of the Castle and reached the port of Pera Yalos. Livadi village is the fertile valley of the island and the summer resort from the locals. Citrus groves, pistachio trees, vegetable gardens and vines stretch the length of the creek running through the valley. The gardens and courtyards of the houses are filled with flowers of all kinds creating a palette with bursts of colour. It is a very beautiful area with an equally beautiful beach with various cafes and tavernas. Analipsi or Maltezana is a seaside village in the outer part of the island with a beautiful sandy beach and a long jetty for fishing boats. 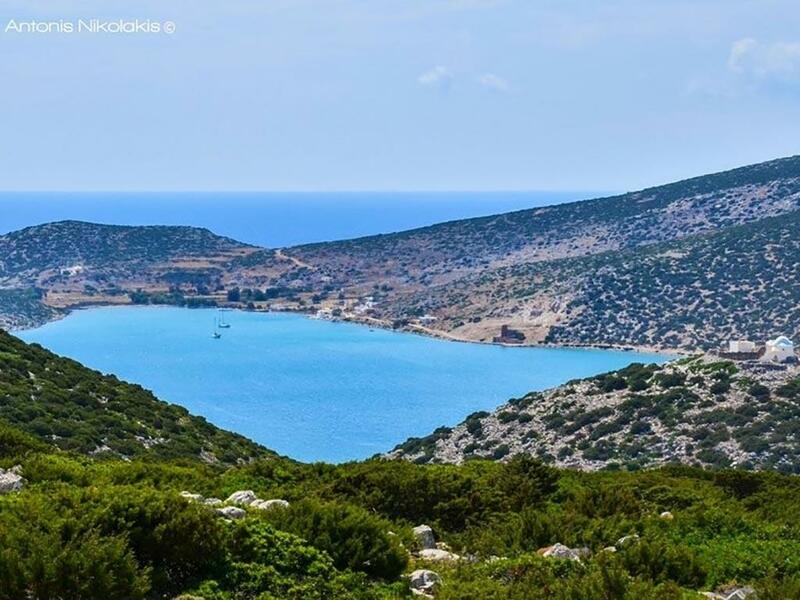 Located 9 km far from Chora, it was named after the Maltese pirates, who pillaged the Aegean and found refuge in the island's sheltered bays. The fearful Othman pirate Hayreddin Barbarossa, who secured Ottoman dominance over the Mediterranean during the mid-16th century, conquered the island of Astypalea in 1537 and was using the favourable position of the island and especially Maltezana bay for his naval victories. Vathy is an almost closed off bay with an opening of just 50m. It consists of Exo Vathy, which is at the mouth of the bay and Mesa Vathy on the inlet of the bay with fields, a beautiful church, a tavern, a few houses, and a small dock with a few fishing boats. Visitors can reach Vathy by road along a passable dirt track or by boat. The Archaeological Museum is located at Pera Yalos village and housed at a ground-floor hall granted to the Hellenic Ministry of Culture by the Ecclesiastical Charity Fund of Astypalea. The museum was inaugurated in September 1998 and exhibits findings from prehistoric up to medieval times. According to the 22nd Ephorate of Prehistoric and Classical Antiquities, some of the exhibits are: a marble coat of arms of the Querini, clay vessels, jewellery and tools from Mycenaean tombs, silver coins of the Classical Period, inscriptions from the island’s shrines, findings of the Hellenistic and the Classical period as well as clay vessels of the Geometric up to the Roman times. It is the island’s most important sight. 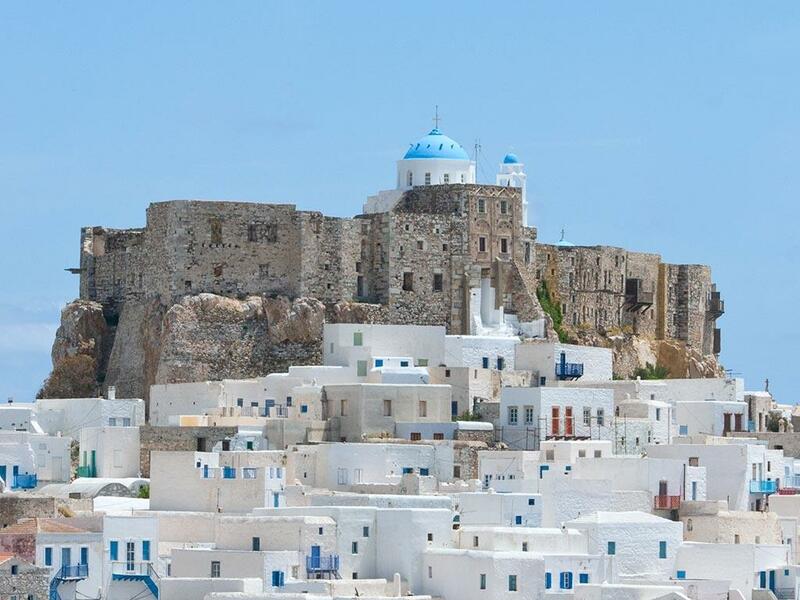 Situated on Chora’s loftiest point, on the remains of the island’s ancient acropolis and of the Byzantine castle, it was initially constructed by Giovanni I Querini in 1207 and completed by Giovanni IV Zanachi Querini in 1413. The castle offered protection, which resulted in an increase of its population, reaching 4,000 inhabitants. The strongly built castle with the narrow, cobblestone alleys also included two towers, one at the gate where the feudal owners resided and one with four storeys on the south side, the so-called “Sarai”. The abandonment of the castle began in 1830, when piracy was no longer a threat and by 1948 it was completely deserted. The infants’ cemetery on Astypalea is the largest ancient children's cemetery in the world. According to the 22nd Ephorate of Prehistoric and Classical Antiquities, this ancient cemetery was used from the Late Archaic up to the Roman times (600 b.C.-200 A.D.). 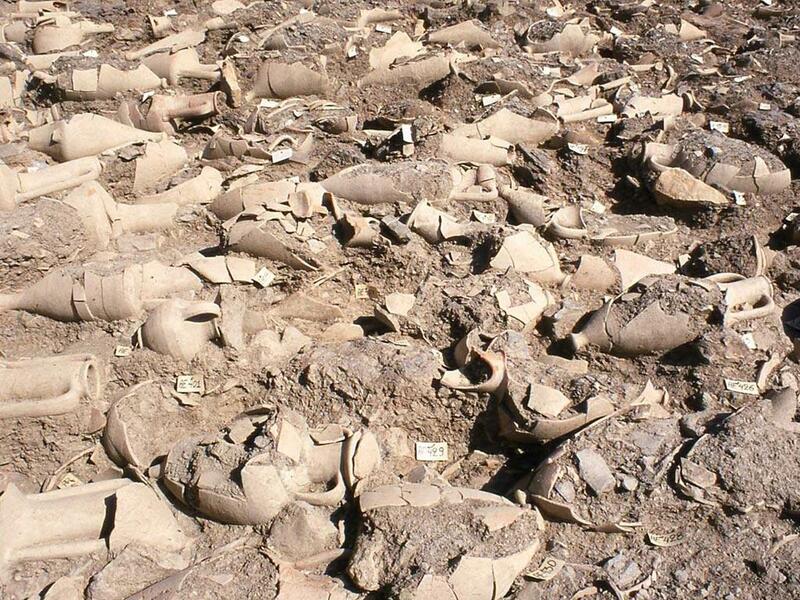 As was usual for ancient Greek cemeteries, the dead infants were placed in clay pots. Once the baby or infant had been laid inside, the door was replaced and the pot was buried in a small pit. The area of the cemetery is still being excavated by 22nd Ephorate of Prehistoric and Classical Antiquities. 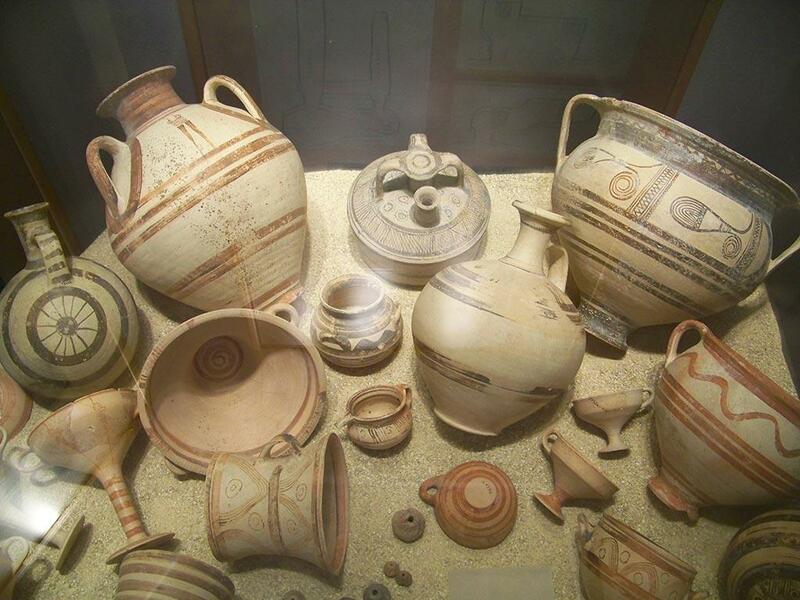 There have been excavated more than 2,700 burials to date and one such vessel is on display in the Archaeological Museum of Astypalea. Near the Venetian castle of the island there is the church of Panagia Portaitissa, one of the most beautiful in the Dodecanese. The church was built in 1762 by Saint Anthimos after nine years of construction and is the religious center of the island. It is dedicated to the Virgin Mary of the Iberian Monastery of Mount Athos. During your visit, it is worth noticing the wooden Chancel Table and the wooden carved chancel screen dated back in 1766 as well as the silver-plated icon of Panagia Portaitissa. Near the church you will also find the Ecclesiastical Museum of Astypalea, which exhibits precious and rare religious relics. Findings on display include a wooden, 17th century epitaph, a 15th century icon of Christ and rare heirlooms of unique craftsmanship. Kallichoron Art Boutique Hotel is situated just a few steps away from the main square of Chora, offering breathtaking views to the picturesque settlement of Chora with the Venetian Castle and to the sea. 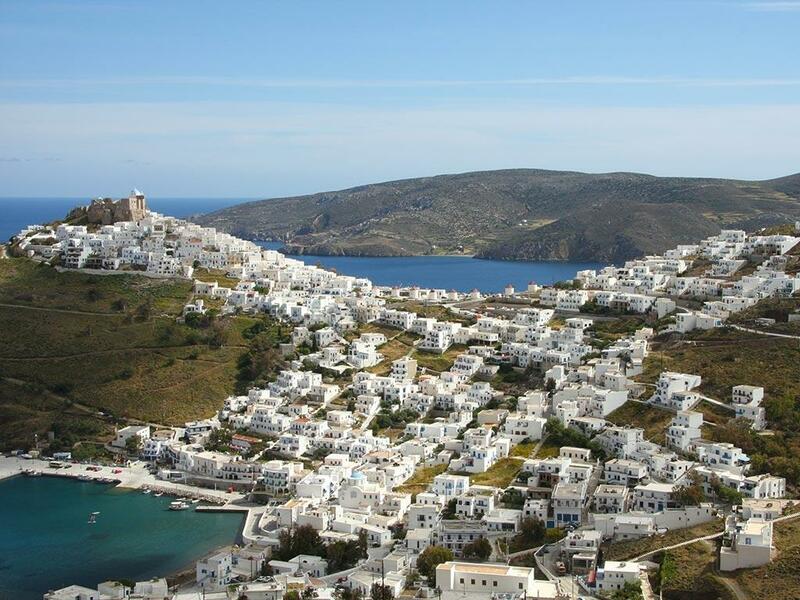 The hotel’s location offers easy access to all of Astypalea's main attractions. The nearest beach from Chora is Livadi, easily accessible by bus or by foot at only 1,5km distance. The bus stop is located at the windmills, only 20 meters away from Kallichoron. The airport is located 9km away from Chora. 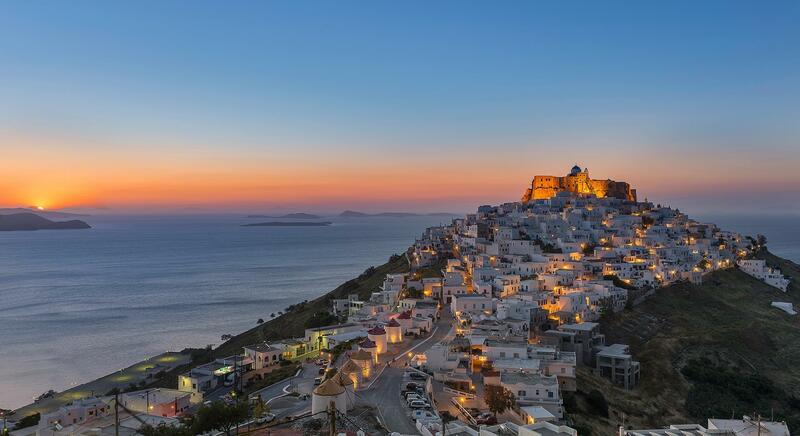 There are regular flights, 6 days a week from Eletherios Venizelos airport in Athens, operated by Sky Express and flight connections with the islands of Rhodes, Kos, Leros and Kalymnos, operated by Sky Express. Kallichoron offers a free bus shuttle service, to and from the airport should you require it. Please provide your arrival and departure times upon reservation to ensure your seat. For the flights’ schedule for 2019, please click here. 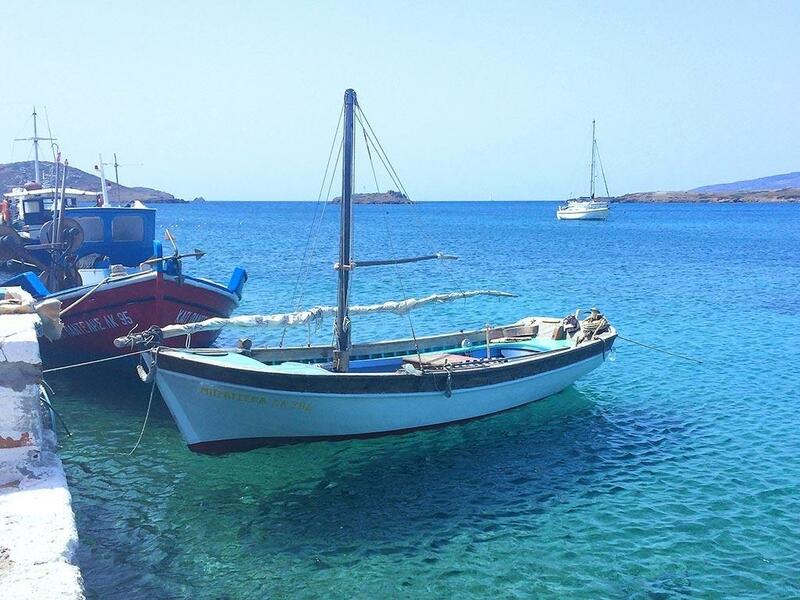 The ferries call at Agios Andreas port, approximately 6 km away from Kallichoron and Astypalea’s Chora. On rare occasions (due to adverse weather conditions) the ferry might call at the old port of Pera Yalos (or Skala). Kallichoron offers a free bus shuttle service, to and from the port should you require it. Please provide your arrival and departure times upon reservation to ensure your seat. For the ferries’ schedule for 2019, please click here. There is the local bus service connecting the main villages of Astypalea (Livadi, Chora, Pera Yalos, Maltezana) with routes at different frequencies, depending on the season. Alternatively, you could refer to several car and scooter rental offices for renting a vehicle or use the two taxis that service the island. Should you rent a car, it can be arranged to be picked up at the airport, the port or the hotel.